Are you wanting one of a kind, adorable, beautiful and charming decorative accent pillows for your nursery or toddler room? Well, look no further than right here! 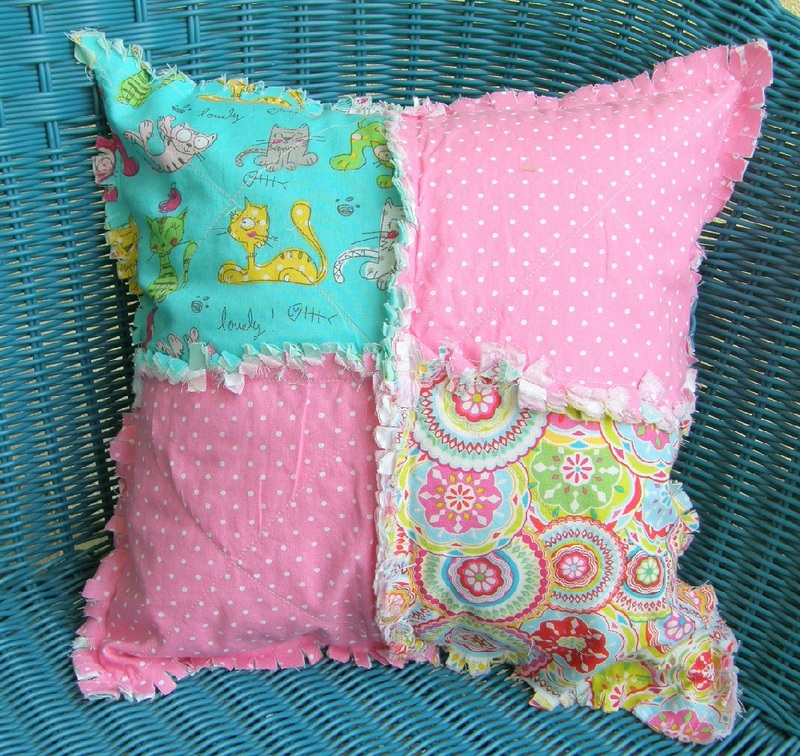 We've created a line of whimsical and gorgeous rag quilt pillows you'll find any where. We've taken the same attention to quality and details that create our rag quilts to a line of unique decorative pillows. Our accent pillows are perfect for that added touch to your nursery or toddlers room Each pillow is a creative design in beautiful prints and solids that are great for any child's room. 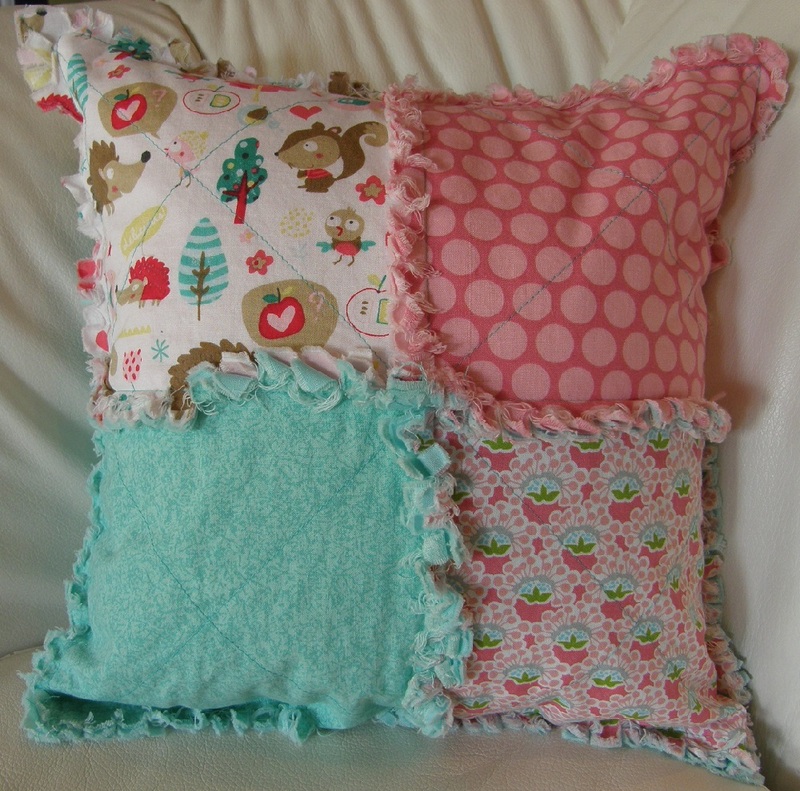 Most of our pillows have coordinating rag quilts that make a wonderful addition to your nursery or toddler's room. 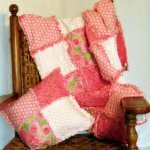 Fun and colorful prints and solid fabrics are assembled into a beautiful four square mini rag quilt. The pillow inserts are all Dupont denier 7 hypo-allergenic fiberfill. With the 100% all cotton fabrics and the non allergenic insert, you'll have no worries about stirring up allergies for your little ones. Attention to detail and craftsmanship makes our pillows a true quality item. Each fabric selected for the themed quilted pillow is hand cut into 8" squares. This allows us to cut the prints in such a way as to create the most beautiful designs. The printed squares are then laid out carefully to tell their story. 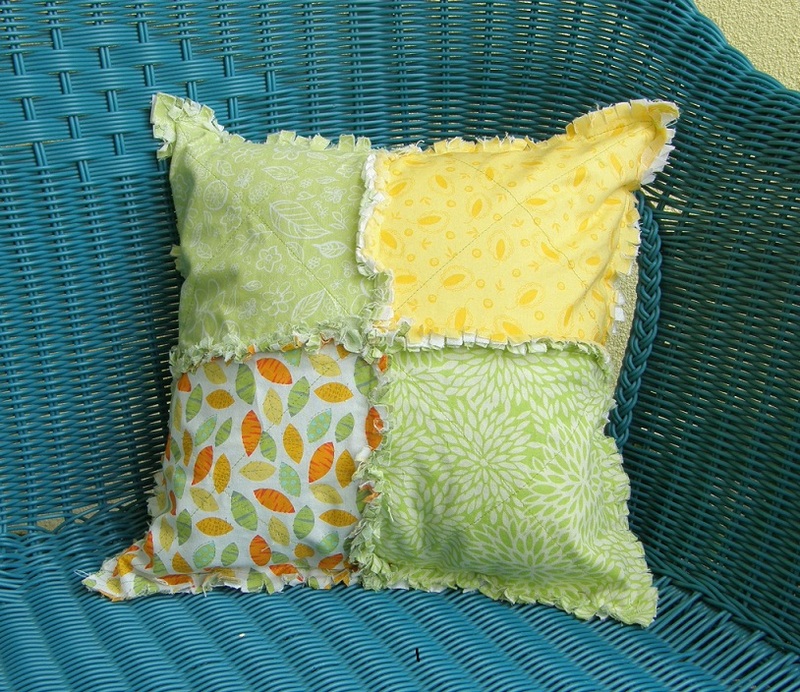 Our rag quilt pillow fronts are made of two layers of 100% cotton material. The top layer is a unique design of carefully selected prints that creates a unique theme. The second layer is a coordinating solid cotton. The backside of the pillows are 100% cotton solids that coordinate beautifully with our fun and colorful quilted fronts. Care is taken to be sure that the print for each layered square is laid out correctly so the finished pattern is perfect. 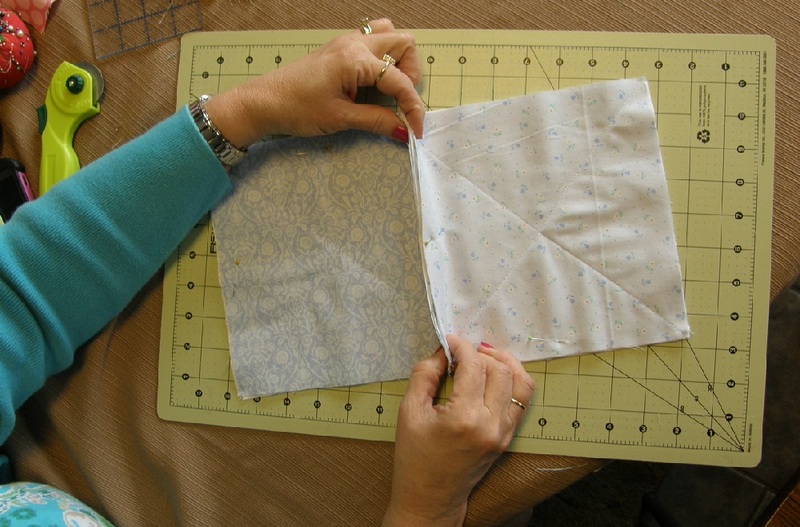 The layered squares are sewn together with the seams exposed. The exposed seams are what creates the "rag" design. Beautifully coordinated colored thread is used to put all the pieces together. To make our decorative pillows durable, we sew them with a full 12 stitches per inch. Once the pillow cover is fully assembled, the exposed seams are hand trimmed to start the "ragging" process. We hand cut the seams so there is no concern with over cutting too close to the seams. We've taken care to determine the perfect size to make our decorative themed pillows. Each one is 12" s 12", just right to sit in a rocking chair, glider, on a dresser or a toddlers bed. Each of our decorative pillows are designed and created individually. This makes one of the best things about our rag pillows is that they are absolutely one of a kind! No one will ever have a pillow just like yours! Our quilted accent pillows are sure to become a favorite accessory for your baby nursery. Not only do they serve a great purpose, but they look great too! You won't want to miss the opportunity to own that absolutely perfect themed pillow for your nursery!